In part two, I addressed the concepts of metaphysics, epistemology, ethics, and politics. Then I explained how the progression of those concepts produces specific outcomes. The principle I highlighted was that all metaphysical premises determine epistemological qualification. Epistemological qualification defines ethical standards, and ethical standards prescribe political culture. Said another way, foundational assumptions determine how effective man is to understand his world. This defines man’s moral value, and his moral values prescribe the government use of force. Historically the predominant assumption has been that man is the property of the state. Government owns man. It doesn’t really matter what government. It doesn’t matter what age that government is in, whether we are talking about Sparta, or Rome, or the Holy Roman Empire and Charlemagne, the conclusion was that the state owned man. Man’s specific function was to lead his life at the behest of the state. From AD 350 to roughly AD 450, there was a massive evolution in Christian thought. Up until about AD 300, Christianity was a marginal religion in a much broader intellectual and religious world. Then a series of events brought Christianity to the forefront, and Christianity emerged as the state religion. This merged the quest for truth with the power of the state, forever changing the face of Christianity. Follow the logic: the moment government is the arbiter of religious orthodoxy (read doctrine) the government must be in charge of reality. And if the government is in charge of reality then government is in charge of compelling people to believe specific things. Always remember government is force. We know what is best for you! So when Christians talk about polity aka government they are trying to take the sting off what they really mean. When a man insists that he has Biblical polity, what he is ostensibly advocating is the moral right to compel everyone else there to conform to what he says. In the unfolding drama in modern American Christianity, one of the leading doctrines is the issue of submission to authority. When truth is placed in the hands of “authority” they are claiming for themselves the right to force people to believe what they believe. The loose logic reasoning goes like this: if right ideas were enforced all the bad things would go away. But notice that the bad things never go away. Notice this logic played out in Islam. Islam calls itself a religion of peace because it believes that as long as Islam rules the world, it will enforce peace. The world will be at peace because Islam will brook no dissent. Now notice the same logic from Marxists. “The reason there’s bloodshed is because those dang bourgeoisie won’t give up all their money to the proletariat. If we compel evil rich people to do what is “right” there would be no more bloodshed.” And this is the trap that this always produces. The presumption is that the utopia will occur if everybody would just get their ideas right. But it never happens because it cannot happen. The moment you decide that one person, even a group of people, are somehow uniquely qualified to use force to defend truth, what you have is religious orthodoxy. Religious orthodoxy and political correctness are nothing more than two heads of the same beast: one is secular orthodoxy and one is a religious orthodoxy. It is the use of government force to tyrannize people to believe the same thing. Through marketing and packaging, religious orthodoxy tries to portray itself as being done on behalf of God. And who can argue with things that are done on behalf of God? Since God isn’t standing here to say otherwise, it is a pretty easy thing to get away with. So where is the plumb line? How do you know who is in charge of what? The dirty little secret is that nothing gets resolved until somebody points a gun. The epistemological standard requires force. Notice that those who govern “For the glory of God” call their form of government theocracy, when in actual fact, theocracy is always oligarchy. Since God is not personally dictating what happens next, dictating his will defaults to men who have – somehow – magically transformed themselves into the recipients of divine mandate. That means you have a very, very small group of men who believe they are uniquely qualified to define truth for everyone. This is oligarchy. So this means that there are a few men who monopolize force to define God’s existence. It is a simple matter for them to say they are doing whatever they are doing on behalf of God. They get to define God on their terms. God’s will is the subjective whim of those using force. This is why faith and force are the destroyers of the world. By contrast when we are discussing reason, we are discussing the whole of human understanding, rationality, and logic. We are actually having the only exchange that cannot be resolved with violence. We are arguing the elements that are measurable and identifiable by anybody who chooses to enter into the conversation. So there is a right answer. There is a right conclusion. There is something out there whereby we can all arrive at the same plumb line. The state is subordinated to the will of the individuals. Truth can never be the property of the state. This revolution of thought is directly tied to the Enlightenment. Remember the progression: Foundational assumptions determine how effective man is to understand his world, which defines moral value, which proscribes government force. The Founding Fathers believed in man’s competence. That was the central theme of everything for which they argued, that man was specifically competent to self-govern. This collides head-on with the Calvinist-Puritan construct: man equals incompetence. – Pervasive depravity has fully corrupted the whole of human existence. – This determines that all good is a product of God’s specific sovereign action. – This defines that man’s life is predetermined in action and outcome. – This prescribes an elect few who are divinely appointed to shepherd the flock in God’s behalf. The Puritans brought that mindset into the colonies. Puritanism was the most virulent strain of Christianity to come out of Europe and to land on these shores. It has always collided with the Enlightenment thought. Here is a summarization of some articles of religion from Puritan thinkers. “Sinners in the hands of an angry God” is the lingering metaphysical worldview etched in the minds of men declaring God as a vindictive sovereign. Whatever God’s benevolence might theoretically represent, ultimately, this worldview may seem wrathful and damning; terror is the only appropriate reaction to divine awareness. Man’s depravity requires authoritarian government to stand between yourself and his lascivious impulses. Pride in human ability is man’s leading vice and the outworking of wretched deception. Salvation is the miracle of being approved access to heaven that this otherworldly utopia is granted or denied according to God’s mysterious plan. The unintelligible nature of God’s intention in the feeble minds of men makes it capricious and malicious to every failing of human existence. Men are pilgrims through this worldly realm, a hostile empire fraught with all manner of evil. Man is a depraved creature, entirely ill-suited in the bewildering environments, specifically prone to sinful self-destruction. The boons of wealth and health are gifts. Therefore, man is merely the steward charged with a divine trust. The elect are then qualified to dispose of their brothers as the collective sees fit. Stewards in God’s appointment rule those siblings granted to their control. This is why I point out the ultimate full philosophical power from metaphysics to politics. This is Calvin’s role. Very few human beings on the face of the planet have ever successfully integrated an entire philosophical statement – from metaphysics through epistemology, through ethics, all the way to politics – into something that can be digested for human consumption. While it is the single-most disastrous body of ideas ever perpetrated on man, he was still a genius. The power of his ideas is fact that he parsed it in such a way that it was easily understandable from start to finish. Its power is its full statement. What are the results of his ideas? Civil War: Eventually, this body of thought becomes centered in England. Between the time of Calvin’s Institutes of Christian Religion in 1536, and the beginning of the Enlightenment period, England experiences three civil wars: the first from 1642-1646, the second from 1648-1649, and the third from 1649-1651. It will take a trivial amount of research for you to find the causes of the English Civil Wars: They were religious wars based on a fight over religious orthodoxy e.g. 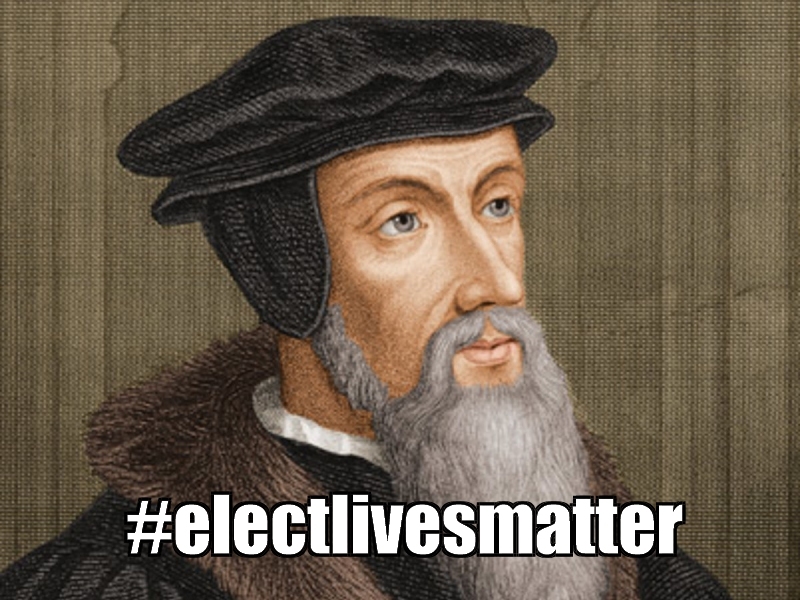 Calvin’s doctrine. The Puritans: In modern American lore, the Puritans are everybody’s favorite Thanksgiving story. We like the Puritans because we think they are like us, but in actual fact there was a reason the Puritans were persecuted. They were militant ideologues who were determined to create a theocracy . . . somewhere. The closest they got in Europe was when Oliver Cromwell ruled as Lord Protector from 1653 to 1658. He called himself the Protestant Moses. The closest they got was to a theocracy was the Massachusetts colony. The Act of Uniformity: The Church of England decided, after a series of wars, to dictate a specific form of public prayer, the sacraments, ordination, and church rights. The Puritans thought the Church of England was far too permissive, and when they couldn’t establish their doctrinal “purity” by force they left England because of “persecution”. They were not looking for religious freedom. They were looking for a place where they would be unopposed in setting up a religious tyranny. The Salem Witch Trials: These occurred between 1692 and 1693. Again, a trivial amount of research will reveal these were specific religious persecutions, the merging of civil force with religious orthodoxy to create a culture of death. I know that is not popular and I’m sure that will make you nervous. That’s fine. I want you nervous. I want you to see the trend of social destruction. Jonathan Edwards: To the Neo Reformed crowd, Jonathan Edwards is their homeboy. However, if you have ever read “Sinners in the Hands of a Angry God” you know it is a vicious piece, and you know that Jonathan Edwards was an evil little man. Secular bad; Christian good. How did Christians come to think this way? 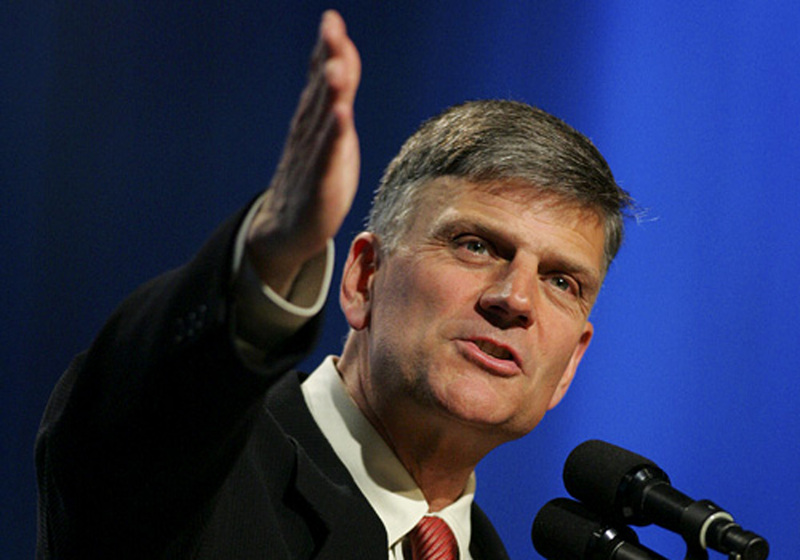 And why are they willing to pay people like Franklin Graham so much money to protect us from the secular boogey man? Graham, like the vast majority of evangelicals, gets his information from other people. No people group can pass superstition and folklore from generation to generation like evangelicals and their information networks established by seminaries and local churches. Truly, the evangelical brain trust of our day must marvel that they can continue to get away with this in an information age. Nevertheless, the likes of evangelical superstar Dr. Albert Mohler often bemoan the evils of internet access. All of this is a long version of saying I think Protestants are brainwashed. Sigh. Ok, let’s take this a paragraph at a time. We like to say that America was founded by Christians who fled Europe for religious freedom, right? That’s the foundational premise of the American Protestant myth. First, the Pilgrims were Puritans who were Calvinists who were also Augustinians like Luther who were Platonists. So let’s clear that up to start with. Secondly, they didn’t come here for religious freedom—they came here to start their own socialist theocracy based on Plato’s The Republic. Thirdly, the foundation of their Protestant orthodoxy was/is death. So, if Graham wants to say America was founded on European Christianity, he cannot also say that “America is increasingly embracing a ‘culture of death.’” Excuse me, the foundational document of the Protestant Reformation in regard to doctrine was the Heidelberg Disputation written by Martin Luther. It is a doctrine of death. In fact, Luther stated in the document that all true knowledge must be obtained by suffering. And being a Platonist, he rejected the idea that the common man can reason because of his addiction to the material realm. Luther merely made Christ Plato’s trinity; the true, good, and beautiful, and made the suffering of the cross the epistemology to obtain wisdom from the invisible realm. Luther’s “theologian of the cross” is Plato’s philosopher king. No, no, no. The Pilgrims, who were Puritans, who were Calvinists, and also Lutherans, who were Augustinians, who were followers of Plato, who was the father of Western socialism, made death the Christocentric epistemology of the church—it was by no means a rejection of Jesus, or at least their version of Him. This is why an instrument of death, the cross, is the regnant icon of the Protestant church. 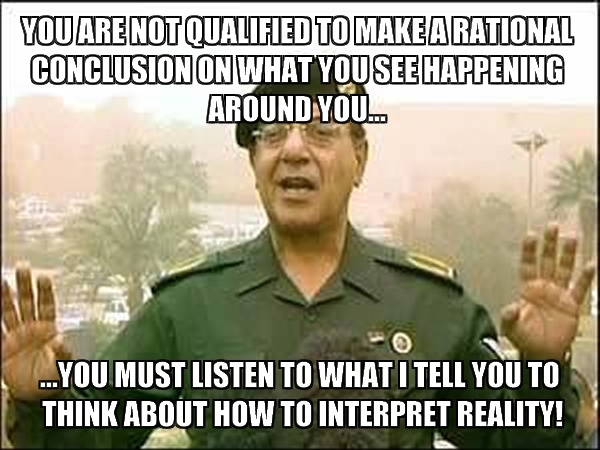 The next statement by Graham lends opportunity for further clarification. “Christianity,” viz, Protestantism, has been in decline in Europe, um, where it started, and we are becoming like them, and guess what? The authentic version of Protestantism displayed in New Calvinism straight from the Heidelberg Disputation has been all but totally running the show in American evangelicalism for twenty years. Graham needs to look in the mirror if he wants to see the real problem. And to further clarify, America was founded on political secularism—NOT European Protestantism. Excuse me, but the American colonies were originally socialist theocracies on steroids. Many of our founding fathers were motivated to act by the Puritan tyranny they experienced growing up. For the first time in human history, a government was formed that separated force from faith. The American Revolution was against European tyranny, but that same tyranny expressed itself in colonial Puritanism which was also tied to Europe politically in many cases. Ten years after the American Revolution, the Puritans tried to weasel their way back into control and James Madison had a total conniption fit over it. Keeping Platonist mystic despots out of government was what the American Revolution was all about. The Puritans were part of American history as enemies, not friends of freedom. The deceptive forces of secularism and materialism? Note how secularism is deemed as inherently evil. If it’s not Protestant, it’s evil. Be sure of this my friends: this idea is rooted in ancient dualism that deems the material (or “materialism”) as evil and invisible as good. It is also one of the philosophical pillars of Platonism and Gnosticism which wreaked havoc on the apostolic church. Furthermore, we must remember that Protestantism was clearly founded on anti-reason which put the Puritans at odds with the founding fathers. Yes, many of the founding fathers were good Christians, but they were Christians who emerged from the Enlightenment Era. They were (not all) Biblicists who rejected dualism and also embraced empirical reason. This is where the discussion falls egregiously short when we discuss the Christianity that this country was founded on: Plato or Aristotle? If you think you can understand and partake in American cultural discussion without understanding these philosophies, you’re sadly mistaken. And please, don’t be like Graham—keep your mouth shut because you don’t know what you are talking about. If you want to finally get a grip on these realities, I refer you to the university level lectures that John Immel has done in the 2012, 2013, and 2014 TANC conferences. This is world philosophy as it relates to contemporary American Christianity. We offer his lectures online for free, and trust me; this is an education that you would pay thousands of dollars for at a Christian college, and most of it would be orthodox myth to boot. As Christians, we don’t think enough about what is exactly meant by “secularism,” and how it supposedly distorts our worldview. Also, when talking-orthodox-heads use the word “materialism” we should not assume they are talking entirely about hedonist money-lust; and moreover, when they subtly connect materialism to the “American dream” it should ignite fear of the socialist god within us. Dissing the American dream without qualification is presently in vogue among the New Calvinists who control at least 90% of American evangelicalism. This is why atheism is on the rise bigtime in America. American Christianity is now totally defined by the Puritan ethic which disavows the material world expressed in quality of life and the average person’s ability to reason. Without the iron fist of a sanctified central government, chaos will supposedly ensue. For the Puritans who really understood what they were about, musings of self-governance was the epitome of folly and arrogance. The New Calvinist movement has successfully defined Christianity in this way resulting in a cultural pushback that rejects a reason-hating god who demands that all knowledge come through suffering. As a Christian thinker, I often seek dialogue with atheists, but find that I am rejected out of hand in every case. Why? Because “Christian” has become synonymous with spiritual oligarchy, and perhaps rightfully so, for what well-known Christian fails to speak well of the Puritans? In addition to what is cited in this post from Graham’s editorial, one may ask Graham: why wouldn’t secular governments push back against the Neo-Puritan movement expressed in New Calvinism? Their dominion theology is well documented. By their own pronouncement they seek to dominate the world!!! Constantly we hear Mike Huckabee et al espousing the need for “Christian government” coupled with events like New Calvinist John Piper in Dubai proclaiming that Christianity is going to bring down the Burj Khalifa tower! Really, am I here right now? Secular government is pushing back against a semblance of theocratic Puritan resurgence? Ya think? Lastly, what about the fruits of death culture that Graham is speaking of? Throughout history, the bulk of death culture has always come from collectivism. What’s that? It starts with the idea that man cannot reason. And by the way, dear Christian, you can wuv somebody with your entire faith-filled intellectual thimble until the cows come home, but if they catch wind that you think they are unable to interpret reality—see ya—you’re history. Since man is unable to reason and needs those with the gnosis to rule over the masses for the collective good, man is not only perceived as property of the state whether the state is religious or otherwise, man’s worth is defined by his ability to contribute to the greater societal good. In other words, to sing the praises of Puritanism while fustigating the evils of death culture is an oxymoron. Either way, whether secular or Protestant, both feed the death culture. Protestants don’t like voluntary exit strategies because who’s to say you won’t become one of them in the future; atheists simply have no hope because the only Christianity they see is jihad with some sugar on top. Graham et al remind me of race-baiters like Al Sharpton. With Al, the boogey man is the white man; with Graham the boogey man is the secular materialist out to destroy his definition of Christianity. However, in regard to Graham, I think most of his mentality in this regard comes from ignorance, for many others like John Piper and Al Mohler—not so much. Life is short. Eternity is long. Do not tarry for you do not know when you will die. Choose sin and you will face eternal damnation, said Rev. Graham. But choose God and you will gain eternal life. Do you hear the intellectuals running away as fast as they possibly can? You should. Protestant theocracies have a track record of a “vibrant culture of life”? Oh my, are you kidding me? Let me explain something. Not long after the Renaissance, Platonism split into a secular expression that later became Marxism. Until then, collectivism was primarily a religious animal. From there, remnants of collectivism have always defined political underpinnings one way or the other. In contemporary America, we bemoan the nanny state mentality found primarily in the Democratic Party. Self-governance? They don’t even think we can choose the right way to wipe ourselves or buy lightbulbs. Often we ask when they make absurd statements, “Do they think we are stupid?” Well, not exactly, it’s just that they don’t think you can properly interpret realty. Likewise, does Graham think we are stupid? And does he really think we can reach the lost with statements like this that are first degree felonies against reality in broad daylight? Ya, follow us, believe in Jesus, our idea of a “vibrant culture of life” is Calvin’s Geneva and the Salem Witch Trials. John Piper even went to Geneva to proclaim the next phase of his ministry. During the promotion, he proclaimed the coming of Calvin’s Geneva as “Post Tenebras Lux”—“After Darkness… Light.” Geneva was an early version of communism that just didn’t work, and it didn’t work for colonial America ether.